Special padded bags and covers are available in any size and shape - within reason! We are able to tailor the bag to fit your item exactly. 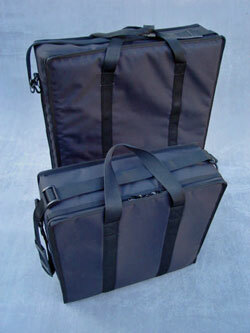 If required we can add carry handles, foamed interiors, shoulder straps, pockets, printing and even wheels. Because to the specialist nature of this type of bag we are not able to give price estimations here. Please contact us to discuss your requirements and we will be happy to quote to your specification. Due to tooling and set up costs, a minimum order quantity of 25 per design normally applies to this particular type of product. 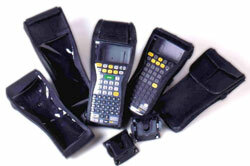 Small instrument cases can be designed to fit snugly around your portable device. Available in leather and PVC, with neoprene screen covers, access points, and zip or studded covers and flaps if required, we can tailor the design to fit your requirement exactly. Due to tooling and set up costs, a minimum order quantity of 50 normally applies to this particular type of special product. 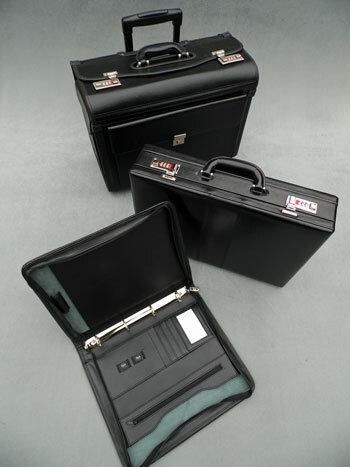 We have a range of standard briefcases, pilots cases and presentation items that is changing all the time.